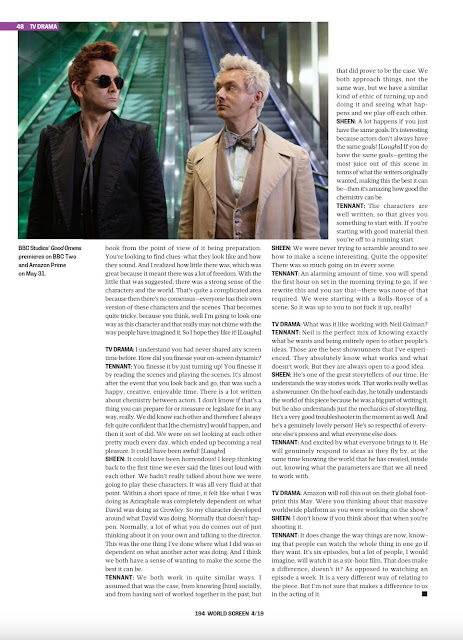 A new interview with David Tennant and Michael Sheen is featured in the new issue of MIPTV’s TV Drama digital magazine. In it the pair talk about filming Good Omens and their on set chemistry. 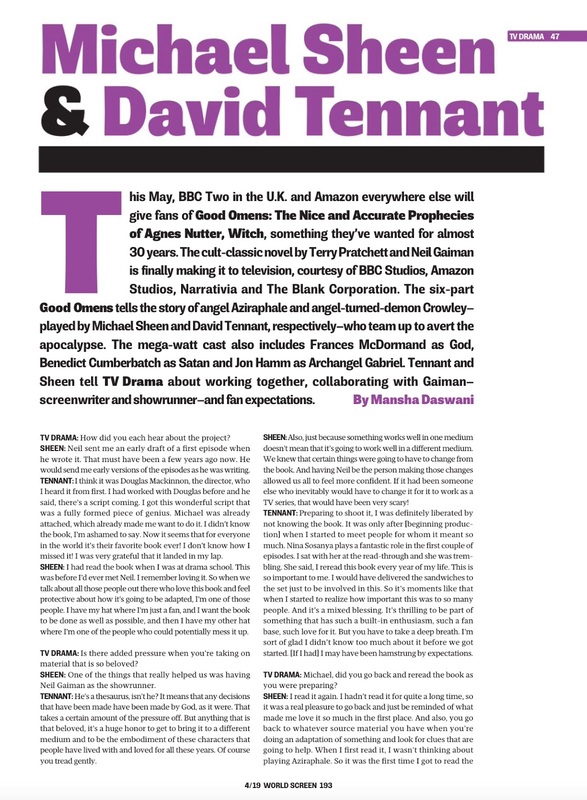 The hugely anticipated adaptation of the cult fantasy novel, was written by Neil Gaiman in collaboration with the late Sir Terry Pratchett and hits Amazon Prime worldwide on 31st May, with scripts written by Gaiman himself, who also acts as showrunner for the six part series. Good Omens is a dark, comedic story set in modern day Britain on the brink of the Apocalypse. 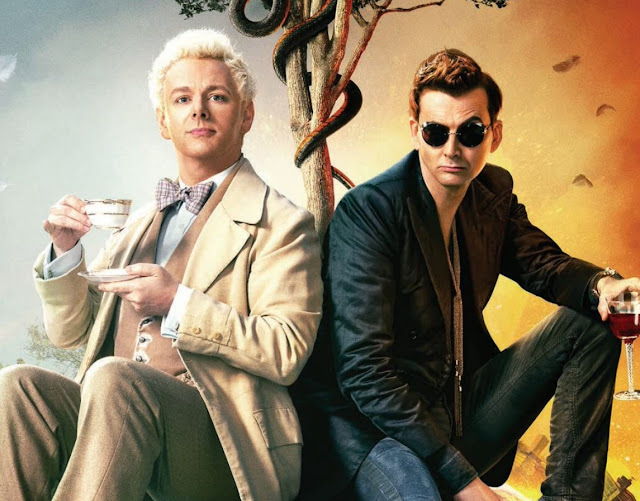 When a fussy angel, Aziraphale (Michael Sheen) and a suave demon, Crowley (David Tennant) get wind of the coming of the Antichrist, they join forces to prevent the loss of their comfortable lifestyle on Earth. Throw in a medley of unforgettable characters, some infernal riders, a host of angels, a legion of demons and a gang of unruly kids, and the end of the world will never be funnier! 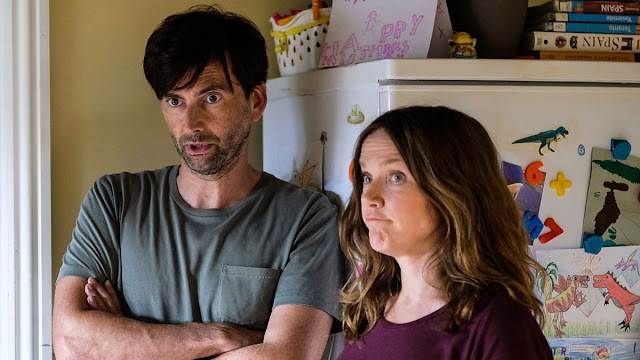 The show also stars Michael McKean, Jack Whitehall Adria Arjona, Mireille Enos, Nick Offerman and Nina Sosanya. You can read the whole magazine online here.